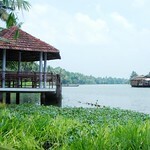 Alappuzha or Aleppey also know as the ‘Venice of the East’ is situated on the Arabian Sea between Ernakulam and Kollam. The place is rich in scenic beauty and natural splendour. Alappuzha is the water locked district of Kerala, with its backwaters flowing calmly between the palm trees, making the place one of the best tourist destinations in Gods Own Country. The town is also known for the famous Nehru Trophy Boat Race held every year in August. You can book all these properties through us. Simply call or email us and you can also ask us advice on accommodation options that match your special needs and tastes. 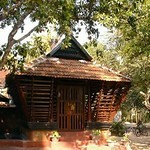 Friendly homestay with 800 meter of the Vembanad lake. 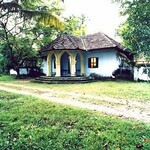 A really charming heritage house with 800 meter of waterfront along the Vembanad lake. This ancestral house traces its history back over 8 decades. Excellent traditional Kerala food. 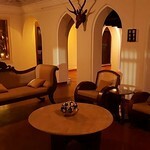 A 150 year old exotic farmhouse located in Alappuzha Backwaters. An ancient two-storied house constructed with wood and bricks and is still maintained in memory of the golden era of this Ancient Syrian Christian family. It is now proudly presented to the world as an icon of age-old tradition and trust. 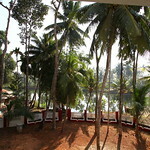 Arakal Heritage is a beach resort cut out for the price-consious traveller. Set amongst shady palm trees, this resort located at the famous Alappuzha town features comfortable cottages and cozy rooms. 9 acres including lush green paddy fields and fish ponds. Emerald Isle is located amidst beautiful waterways and backwaters of the Kuttanad Region of Alappuzha in Central Kerala. It is an ancestral Country House set in 7 acres of secluded grounds. Kaits home is situated on the banks of the river Pamba in Champakulam, resplendent in green paddy fields, coconut groves, organic vegetables and water fowl. 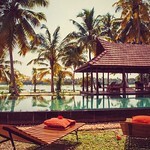 This century-old mansion is located on a forty-acre organic farm on the banks of the Kaithappuzha Backwater between Cochin and Alleppey. 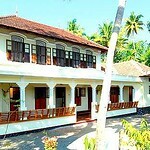 The old mansion built in the traditional Kerala style has been the private home of the family for more than a century. A riverside retreat for the most descerning nature lover! Located on the banks of river Manimala, Riverside Inn Muttar is a comfortable homestay accommodation option near Alappuzha. 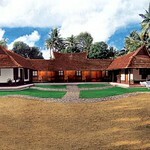 Family owned "tharavad" south of Cochin that has been owned by the same family for 8 generations. Friendly welcome with very gracious and friendly hosts. Oh my Lord! Alone and Wonderful!